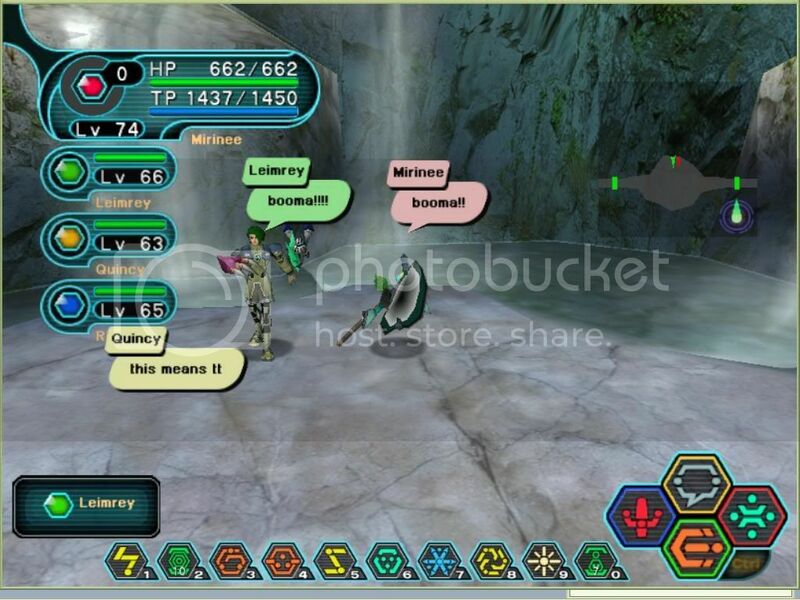 Ragol.co.uk Forums > Archives > Archived Forums > Phantasy Star Online > Symbol Chat GOGO!! Been eating Booma with Leimrey /Liu Bei. Here, we are in one of the most beautiful rooms of the game. I am not in a most flattering pose, but as you can see, I have no legs. I am just like a slug and hence don't mind getting my feet wet. My bmp screenshots folder isn't working. Just can't find it. Has it got something to do with windowed mode? Last edited by Mirinee; 10-07-2008 at 11:11 PM. Reminds me of a hand puppet. My bmp screenshots folder isn't working. Just can't find it. Has it got something to do with windowed mode? Last edited by Anti Hacker; 26-01-2009 at 02:17 AM. Last edited by Emelious; 25-11-2009 at 10:24 PM. While looking around youtube at vids, i found this: http://www.youtube.com/watch?v=i5_XP...eature=channel. GARR, Lv9 (lol) HUcast, oran.